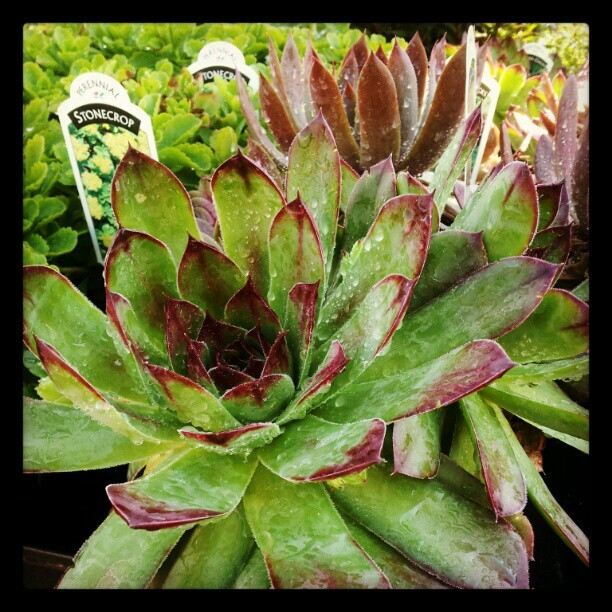 I had my cell phone with me the other day when I was out shopping at some garden centers, so I took some photos with my handy dandy Instagram app (which I’m not 100% sold on yet, BTW). If you’re not familiar with Instagram, it’s an app for iPhone and Androids that turns your cell phone camera into a mini photo editing studio where you can give your photos interesting vintage effects (sort of like Picnik for your phone). There’s a whole social sharing aspect to Instagram that, honestly, I don’t have time for. 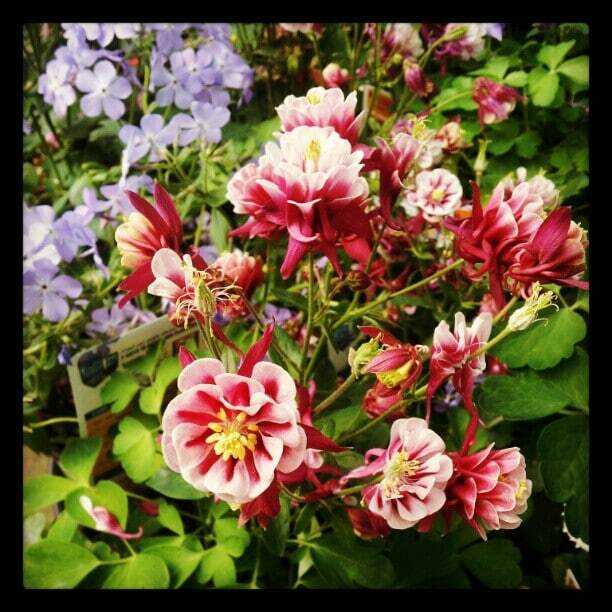 But for those of you who can’t get out to the garden centers as often as you’d like, I thought you would enjoy a little flower fix, so come along on my shopping trip. 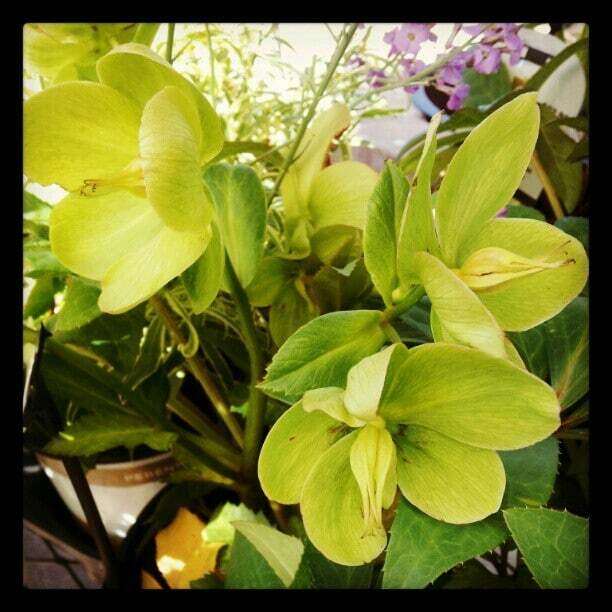 One of my favorite specialty plants – Hellebore. They are expensive here in Ohio – $24.99 for this small sized plant, but they do make a unique accent plant for the wealthy. A sea of Creeping Phlox as far as the eye can see. Foxglove! I have the urge to stick my finger in these every time I see them. I don’t, but I think about it. Carnations? 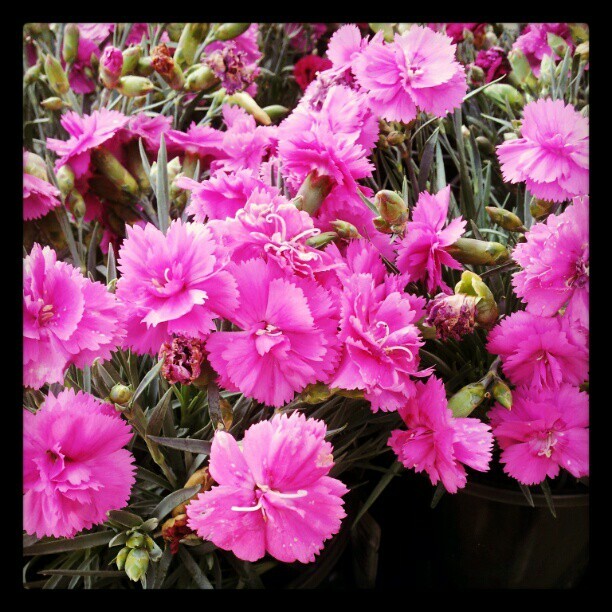 Or maybe Dianthus? They’re pink, I do know that. 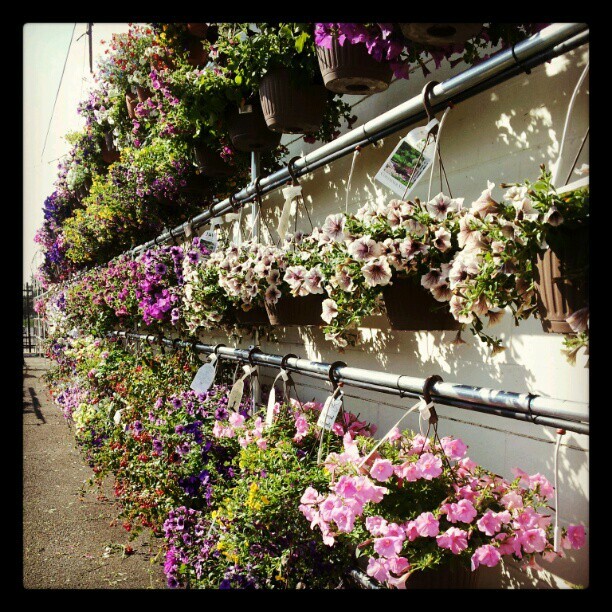 And a whole lot of hanging baskets. So what did you buy on this trip, Pam? 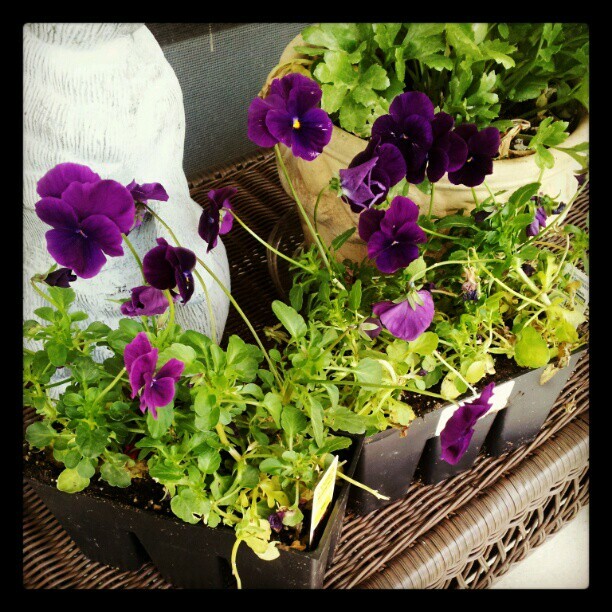 Just some Violas that were on clearance from Lowes. $1.00 for a six pack. Next time you’re at Lowes check out their clearance racks. I found a lot of neat stuff in great condition on those racks last year for a fraction of the cost that they were originally. So do you use Instagram? What are your thoughts on it? 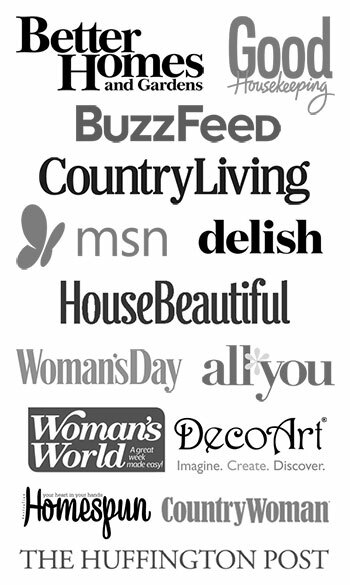 BTW, when proof reading through this, I thought it sounded like I was advertising for Instagram and Lowes. Just wanted to assure you that I am not. 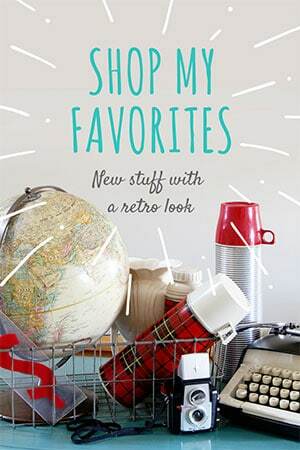 If it’s not on my sidebar or across the top, I don’t get any coffee change for it. It’s one of my pet peeves when a blogger doesn’t make it clear when they are being paid to endorse a product, so it won’t happen here. It is so hard to chose a few plants to bring home when I want to bring them all home. But I too ultimately end up with the ones on sale. I do like a good buy.Never used the Instagram thing and won’t either. Too hard to figure out how all of that works. My husband is completely addicted to the Lowe’s clearance plants. Beautiful shots. Hope you’re having a fabulous weekend. 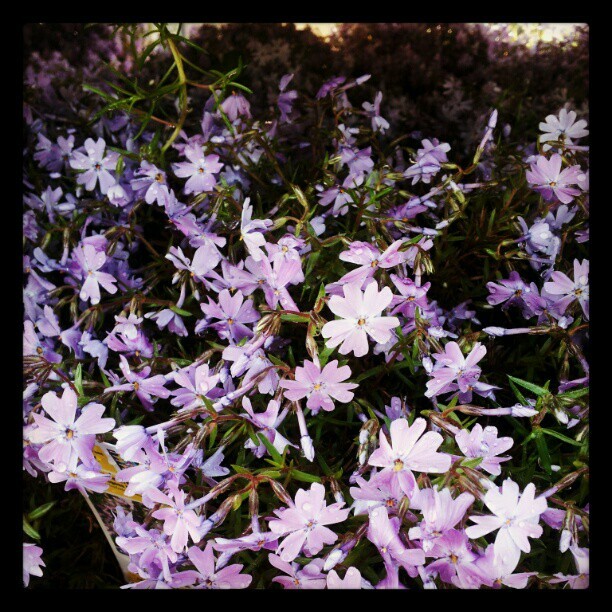 I love the phlox Pam! We have some in our front garden beds. They just do not last long enough though. Heard of Instagram, never tried it. LOVE Lowes. Those hens and chicks remind me of my mom’s flowerbeds when I was a child. ENJOY your new flowers. Great photos. Take care. Your phone takes great pics! I don’t really use many apps myself; I don’t know anyone who has Instagram either, but the idea seems cool! I keep seeing succulents everywhere now, they must be really “in” this season. We have a neighbor who has foxglove sweeping along the mailbox. It looks very elegant. 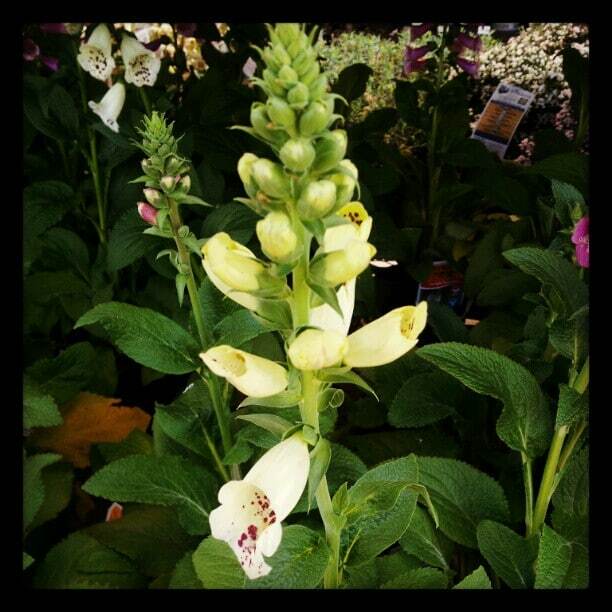 Nothing I plant looks elegant but if I find some foxglove on clearance I will give it a red neck try. Love Instagram. Absolutely adore it. Don’t know the last time I used a “real” camera! 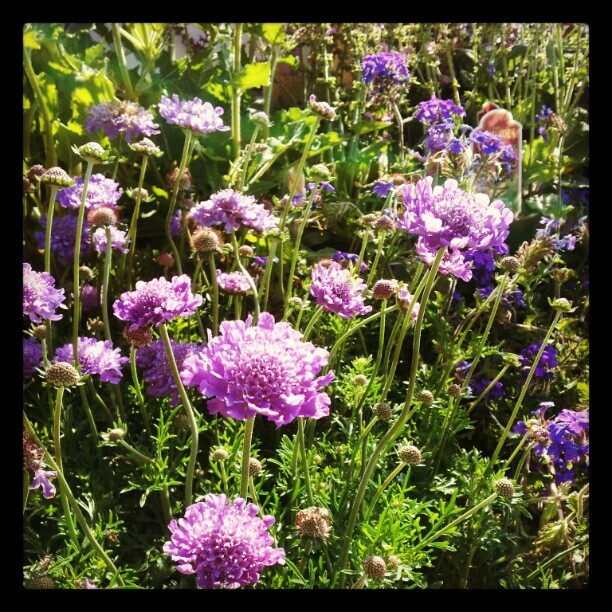 Very pretty flowers. 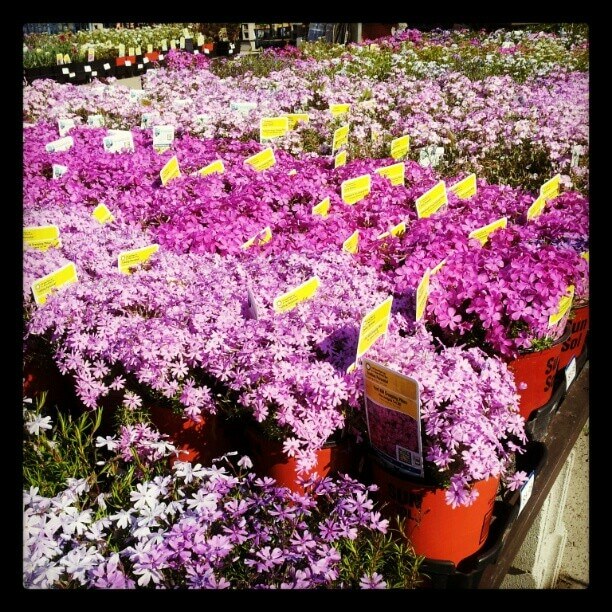 We spent some time at the garden center yesterday. We have Blackberries and just use the camera normally. I’ll be at the nursery this weekend, Pam. I’ve been pouring over pics of container plants. I need an ABC plan since I am far from being an innovative gardener. I may check out the high priced one to see what makes it so special.